This last weekend, I owed my daughter a mommy/daughter date. The problem? We had a jammed packed schedule and no time to actually make it happen. I asked if she would love to spend an hour with me at home crafting and snacking and she happily agreed. 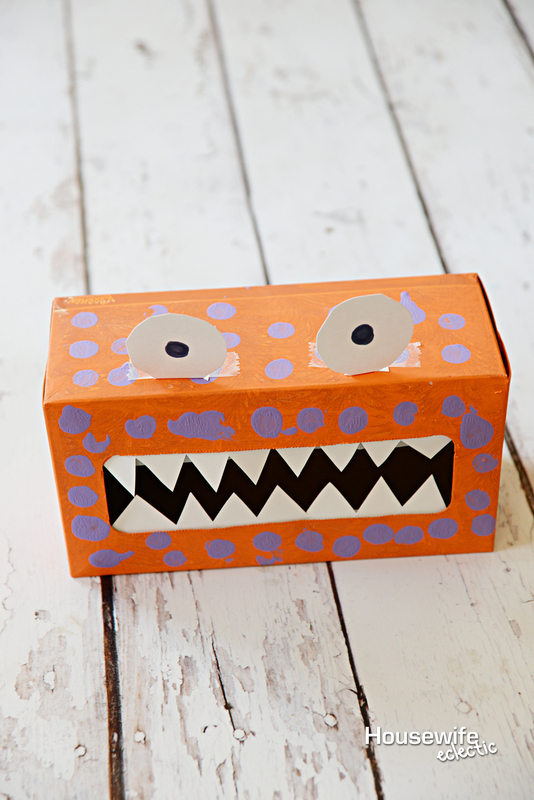 We made two different easy and fun crafts including Rolled Paper Pumpkins and Monster Tissue Boxes. We had a blast giggling, laughing, painting and snacking of Goldfish crackers. It was easily one of the best mommy/daughter dates ever and it required very little prep or supplies! 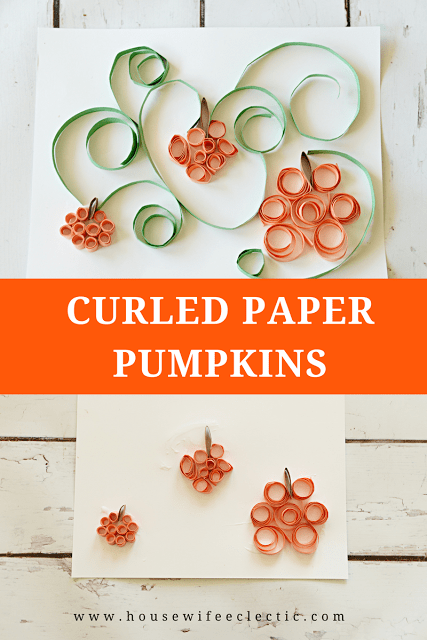 Our first craft was these rolled paper pumpkins. We made three smaller pumpkins together, but you can make them as big as you want! 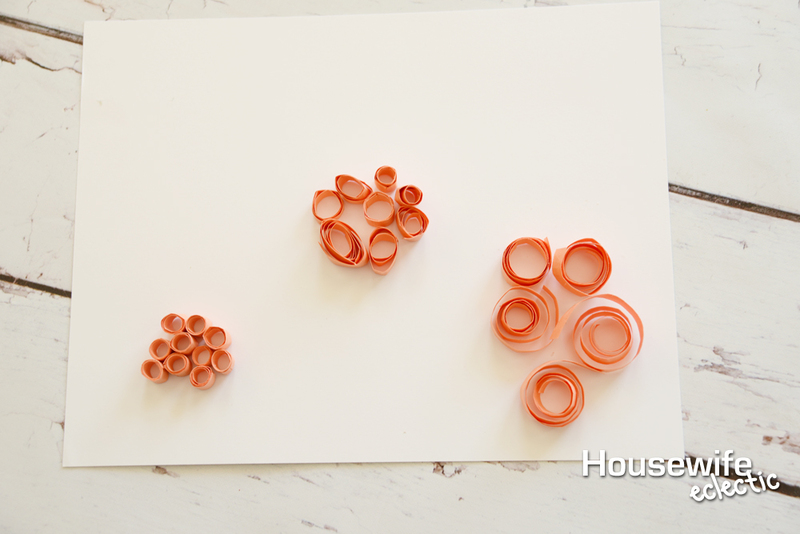 Cut your orange paper into half inch strips and then cut them in half. Roll the strips around a pencil. I like to keep my circles small and tight but my daughter likes to make hers larger. You can see three different kinds of circles in the photo below. The ones on the left are tight, and then the middle ones are looser and the ones on the right are the loosest. Add a dab of glue to the end of each roll to hold it together. 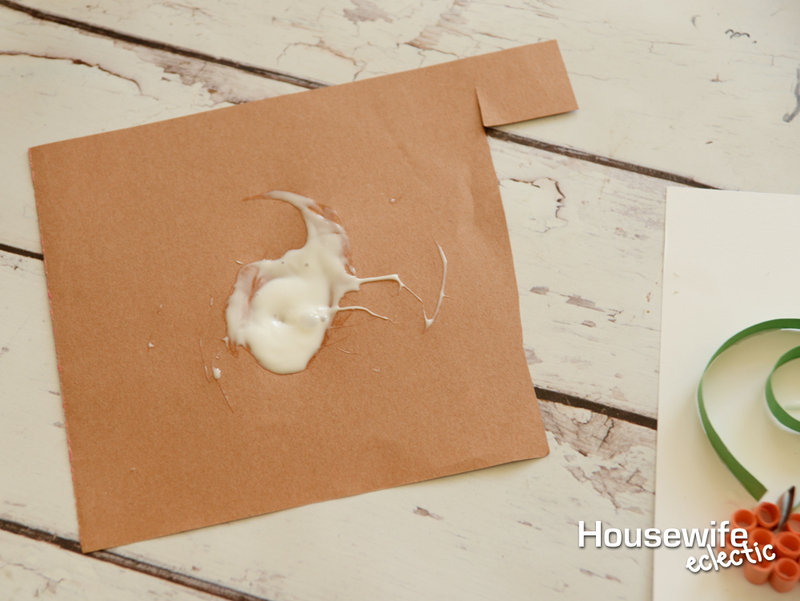 Make a small puddle of glue on a heavy piece of paper and dip the back of the rolls into the glue before positioning it on the paper. Cut a half inch wide brown strip of construction paper and cut it into thirds. Fold each piece in half and dip in the glue. Slide the brown paper in between two of the circles to be the stem. 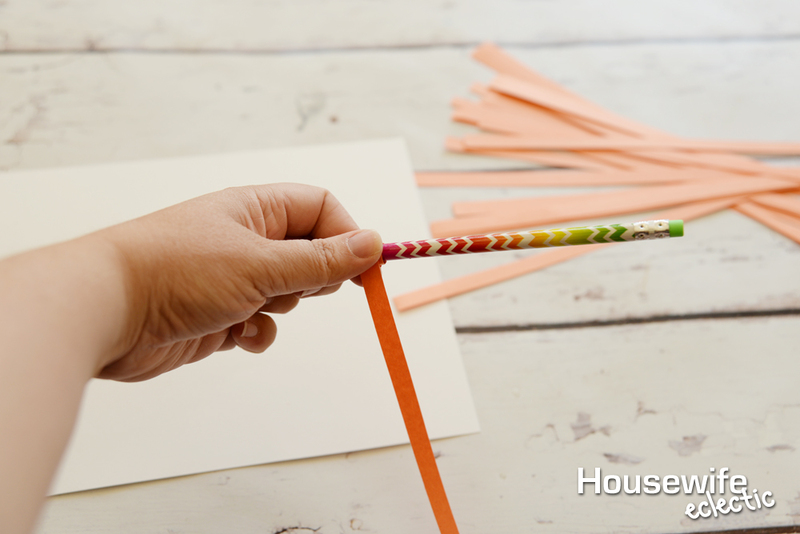 Roll half inch strips of green paper around a pencil and then allow them to unravel all of the way. Dip the vines in the glue and then place around the pumpkins. This darling and easy pumpkin patch came together in about a half an hour! This Monster Tissue Box was the hit of the day and my daughter spent the entire next day feeding it Goldfish Crackers and small toys. I think we will be making more soon! Either save an empty tissue box or empty one for this craft. Paint the box any color you want. 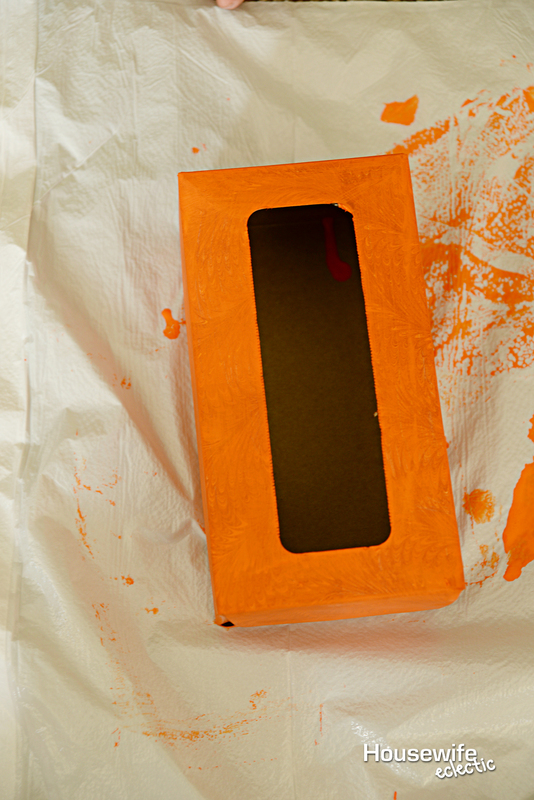 My daughter’s favorite color is orange right now, so we painted the box orange with a large foam brush. After the box is dry, use the back side of the brush to add contrasting polka dots all over the box. Cut the teeth from the card stock by cutting sharp jagged triangles. Cut the eyes by tracing the bottom of something circular and cutting them out. 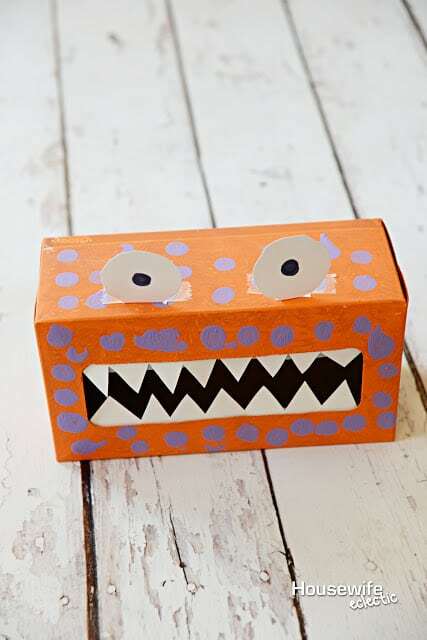 Tape the teeth on the inside of the box and the eyes to the top. We had a blast creating both crafts. We ate snacks and told each other stories from the week. It was the perfect little date in our own living room. My daughter requested Goldfish Crackers for her treat because she knows it is one that I will never argue with her about eating. They are always baked with real cheese and they have no artificial flavors or preservatives. They are baked with whole grain cheddar they have 12g of whole grains per serving. The colors are sourced from plants, such annatto extracted from the reddish seeds of the Achiote Tree. The biggest thing? My kids absolutely love them! They were the perfect addition to our crafting. 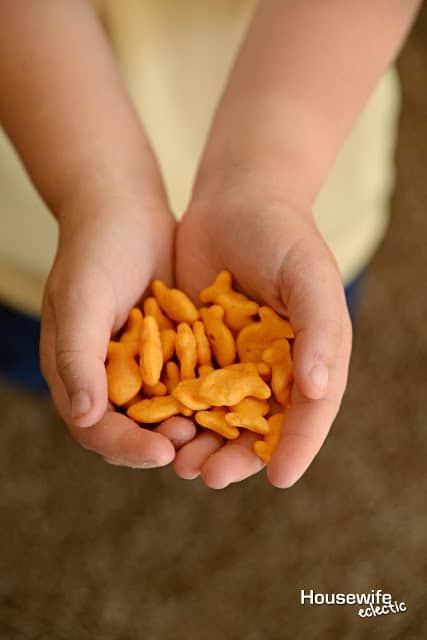 What is your child’s favorite flavor of Goldfish Crackers? This is one of the twins' favorite snacks! Those curled pumpkins are adorable. I'd like to do this project with them. Thanks Debra!! Your post always learn me something new every time. that's big thing of your post. Aw this is so sweet. I am all about pumpkins in the fall (I have a little pumpkin patch on my land)! 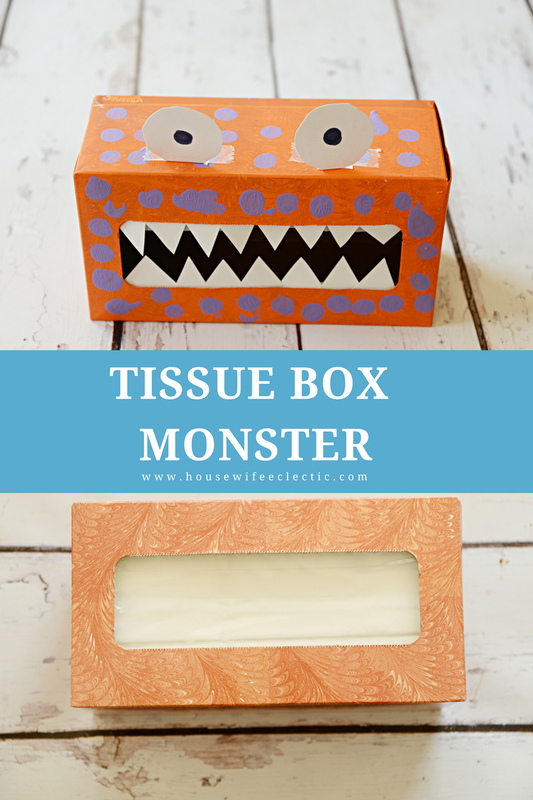 The creativity is wonderful – and the monster tissue box made me chuckle. 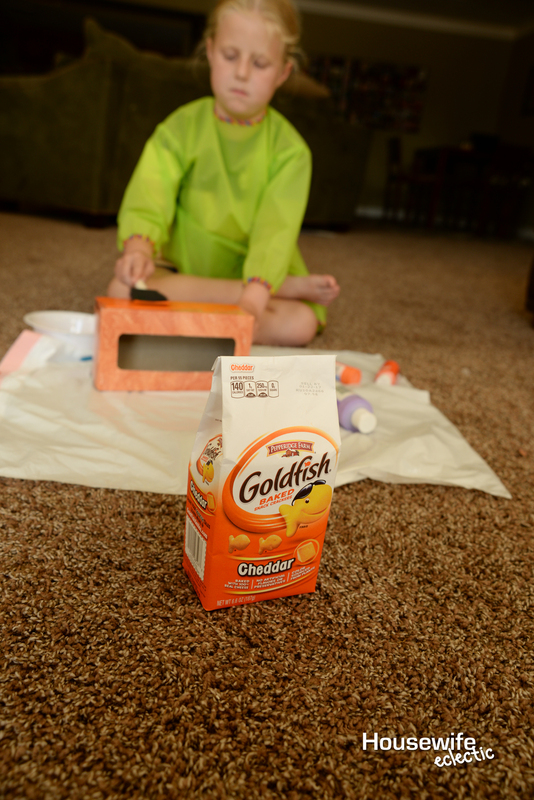 We're big Goldfish fans in our house, too. LOL my husband loves them! I totally love those tissue box monsters! I want to make a few and have them around my house! So cute!! What a cute ideas. My boys would love to make these and impress their friends. Loved this post! This is a cool DIY project to include kids. My nieces just moved to my hometown and this is a great activity for them! My son is a little young for this craft, but I need to share it with my Sister. My Niece would love this! We just discovered the saltine flavor of Goldfish! The pumpkins are really cute but I am in love with the tissue monster box! My boys would try to feed it too. I love the cute crafts. Something for mom and the kids! My girls LOVE Goldfish as well! I love QUICK and easy crafts. Usually my 4 year old and I do crafts when her little brother is sleeping so they have to be speedy. I think the curled pumpkins will be on our craft list this week! How much fun is that! 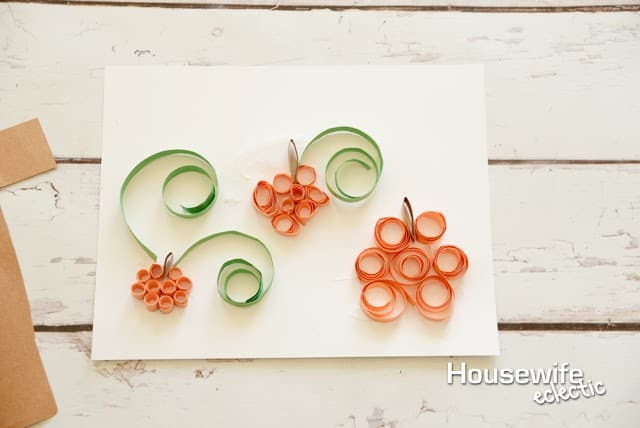 I love crafts that are fast and fun yet make beautiful creations! My daughter loves the rainbow goldfish. I love the monster tissue box, she will love making that one. 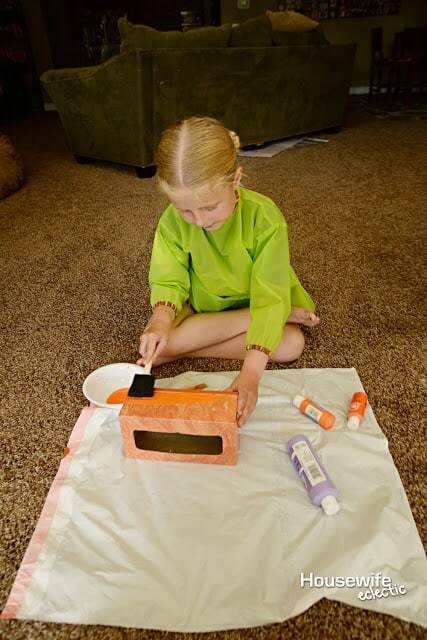 I love getting crafty with my kids and this is so cute I am gonna my daughters if they want to dress up a tissue box this weekend! Thanks for sharing. These are SO CUTE! I love doing little crafty things like this, especially with kids. Totally precious. Such cute crafts, and I love how they use supplies you already have around the house! I wish my kids were young again so I could craft with them! This might be one of my favorite hacks of yours yet. If this isn't perfect for Halloween then I did know what is. Love it! I have never seen anything like those paper curl pumpkins. What a creative idea for Halloween! We always have tissue boxes around this time of year. This would be the perfect activity for my kids. Goldfish snacks plus really cute fall crafts! I am loving it all. My kids would dig all of this. I am loving all these craft ideas for the fall! 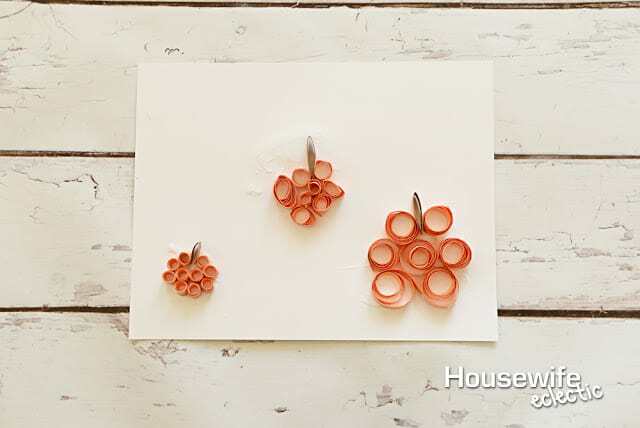 The pumpkin is adorable and you could even combine the two crafts together by using curled paper to decorate the tissue box! I'm sure my son would love the idea of Tissue Box Monster! 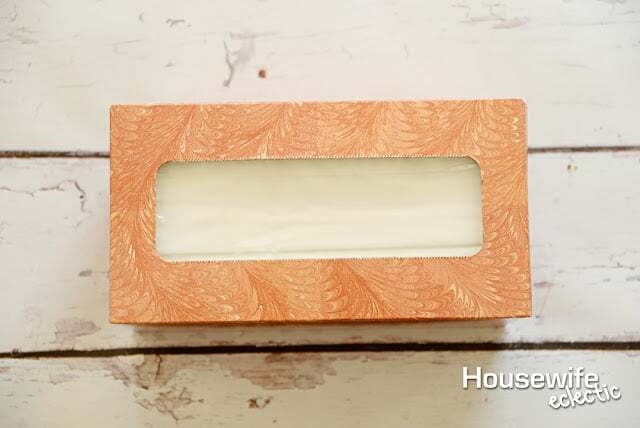 I love that fun idea because we have a tons of tissue box. This is such a cute and creative craft to make. I love that you spent time with your daughter creating these. There is nothing like spending quality time making arts and crafts. Those are cute! My daughter would love making the monster. I'm not sure she would have the patience for the pumpkin though. I like that tissue box monster. My daughter would so love that! How cute! I've been looking for new craft ideas for our Halloween party and I love these! I could even try it with ghosts! My daughter loves doing art projects! This looks like the perfect Halloween fun for us to do over the weekend! I love these two crafts. The monster tissue box is the cutest thing ever for Halloween! We love all kinds of Goldfish but I have to say the princess ones have been making an appearance around our house a lot lately. 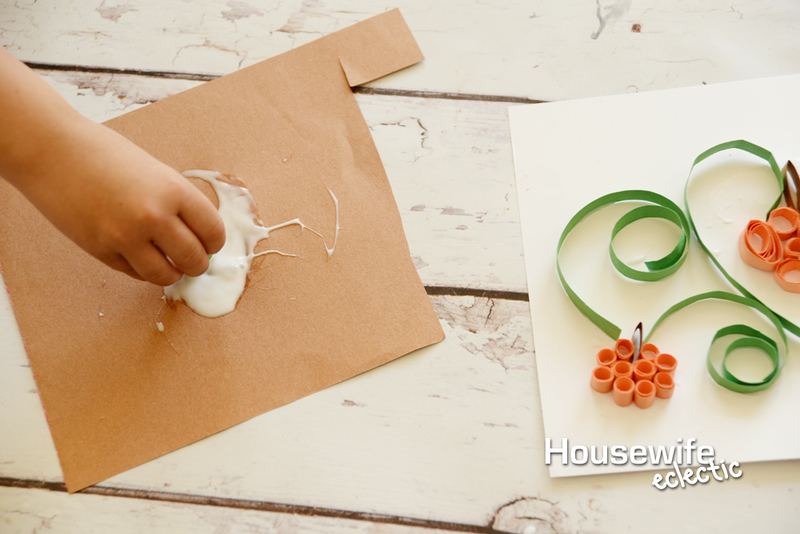 I used to love doing crafts with my mom growing up! I love the idea of the Tissue Box Monster. I don't have any kids, but my husband ate some goldfish crackers tonight! I haven't done a curled paper project in forever. My kids loved it when they were younger and I still have their creations. What cute crafts for kids~Thanks for linking up to Merry Monday! Pinned! Have a great week! What a Fun, Fabulous, Clever and Creative idea.